Even though the sky outside the Murfie Ops Room window is grey today, over the last week it has been impossible to deny that another Wisconsin winter can soon be safely put into the books. Aside from flip-flops, barbecue, and sometimes a rain jacket, the only thing necessary to celebrate the season of Spring properly is some sunshine music. This week we bring you four albums that we think will complement the warm, breezy days to which we have been looking forward. One of the greatest musical moments of 1999 was the awesome video to Beck’s “Sexx Laws,” off his album “Midnite Vultures.” Featuring broom guitars, a banjo-playing zebra, and Kenny G surrounded by football players, the video and song encapsulate everything that is great about a Spring day: bright colors, humor, and funky, funky horns. 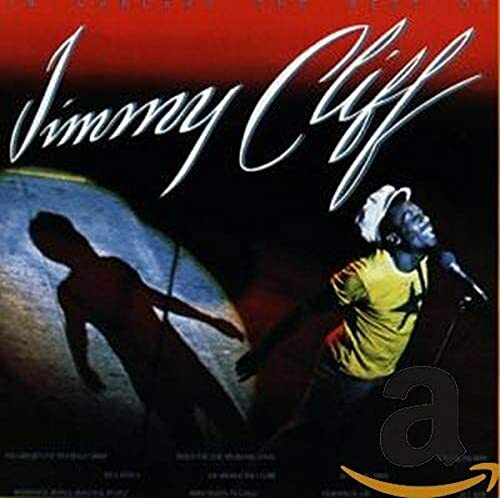 Released in 1976, this live set from reggae rocker Jimmy Cliff includes performances of some of his music from the soundtrack to the film The Harder They Come, in which Cliff also starred. The film’s title track is the standout here, along with the uplifting “You Can Get It If You Really Want It” and the more thoughtful “Many Rivers to Cross,” a perfect song for April Showers. Quite possibly the most triumphant, blazingly joyful warm-weather music of all time. Released in 1970, and including singles from the albums “Stand!,” “Life,” and “Dance to the Music,” this record smiles at you through the speakers. Standout tracks include “Everyday People” (video) and “Thank You (Falettinme Be Mice Elf Agin)” (video). Truly a classic. Not much needs to be said about this one. The band who brings you eternal sunshine.